"Oliver's Evolution" is the last story John Updike wrote for Esquire magazine. It was originally published in 1998. 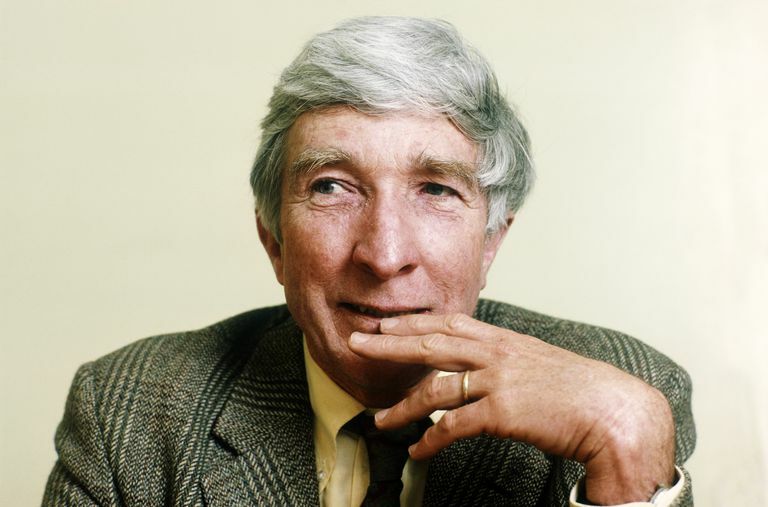 After Updike's death in 2009, the magazine made it available for free online. At approximately 650 words, the story is a quintessential example of flash fiction. In fact, it was included in the 2006 collection Flash Fiction Forward edited by James Thomas and Robert Shapard. "Oliver's Evolution" provides a summary of Oliver's hapless life from his birth to his own parenthood. He is a child "susceptible to mishaps." As a toddler, he eats mothballs and needs to have his stomach pumped, then later nearly drowns in the ocean while his parents swim off together. He is born with physical impairments like in-turned feet that require casts and a "sleepy" eye that his parents and teachers don't notice until the opportunity for therapy has passed. Part of Oliver's bad luck is that he is the youngest child in the family. By the time Oliver is born, "the challenge of child-rearing [is] wearing thin" for his parents. Throughout his childhood, they are distracted by their own marital disharmony, finally divorcing when he is thirteen. As Oliver moves into high school and college, his grades drop, and he has multiple car accidents and other injuries related to his reckless behavior. As an adult, he can't hold down a job and consistently squanders opportunities. When Oliver marries a woman who seems as prone to misfortune—"substance abuse and unwanted pregnancies"—as he is, his future seems bleak. As it turns out, though, Oliver appears stable compared with his wife, and the story tells us, "This was the key. What we expect of others, they try to provide." He holds down a job and makes a secure life for his wife and children—something that had previously seemed entirely out of his grasp. For most of the story, the narrator adopts a dispassionate, objective tone. While the parents express some regret and guilt over Oliver's troubles, the narrator generally seems unconcerned. Most of the story feels like a shrug of the ​shoulders, as if the events are simply inevitable. 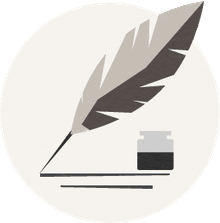 For example, Updike writes, "And it happened that he was just the wrong, vulnerable age when his parents went through their separation and divorce." The observation that "several family automobiles met a ruinous end with him at the wheel" suggests that Oliver has no agency at all. He's not even the subject of the sentence! He's hardly driving those cars (or his own life) at all; he just "happens" to be at the wheel of all the inevitable mishaps. Ironically, the detached tone invites heightened sympathy from the reader. Oliver's parents are regretful but ineffective, and the narrator does not seem to take particular pity on him, so it is left to the reader to feel sorry for Oliver. There are two noteworthy exceptions to the narrator's detached tone, both of which occur toward the end of the story. By this point, the reader is already invested in Oliver and rooting for him, so it's a relief when the narrator finally seems to care, too. "The teeth grew firm again, thank God, for his innocent smile, slowly spreading across his face as the full humor of his newest misadventure dawned, was one of his best features. His teeth were small and round and widely spaced—baby teeth." This is the first time the narrator exhibits some investment ("thank God") in Oliver's well-being and some affection toward him ("innocent smile" and "best features"). The phrase "baby teeth," of course, reminds the reader of Oliver's vulnerability. Second, toward the very end of the story, the narrator uses the phrase "[y]ou should see him now." The use of second-person is considerably less formal and more conversational than the rest of the story, and the language suggests pride and enthusiasm over the way Oliver has turned out. "Oliver has grown broad and holds the two of them [his children] at once. They are birds in a nest. He is a tree, a sheltering boulder. He is a protector of the weak." One could argue that happy endings are fairly rare in fiction, so it's compelling that our narrator doesn't seem emotionally invested in the story until things start going well. Oliver has achieved what, for many people, is simply an ordinary life, but it was so far beyond his reach that it's a cause for celebration—a reason to be optimistic that anyone might evolve and overcome the patterns that seem inevitable in their lives. Early in the story, Updike writes that when Oliver's casts (the ones to correct the in-turned feet) were removed, "he cried in terror because he thought those heavy plaster boots scraping and bumping along the floor had been part of himself." Updike's story reminds us that the awful burdens we imagine are a part of ourselves aren't necessarily so. The Secret of Barthelme's "The School"